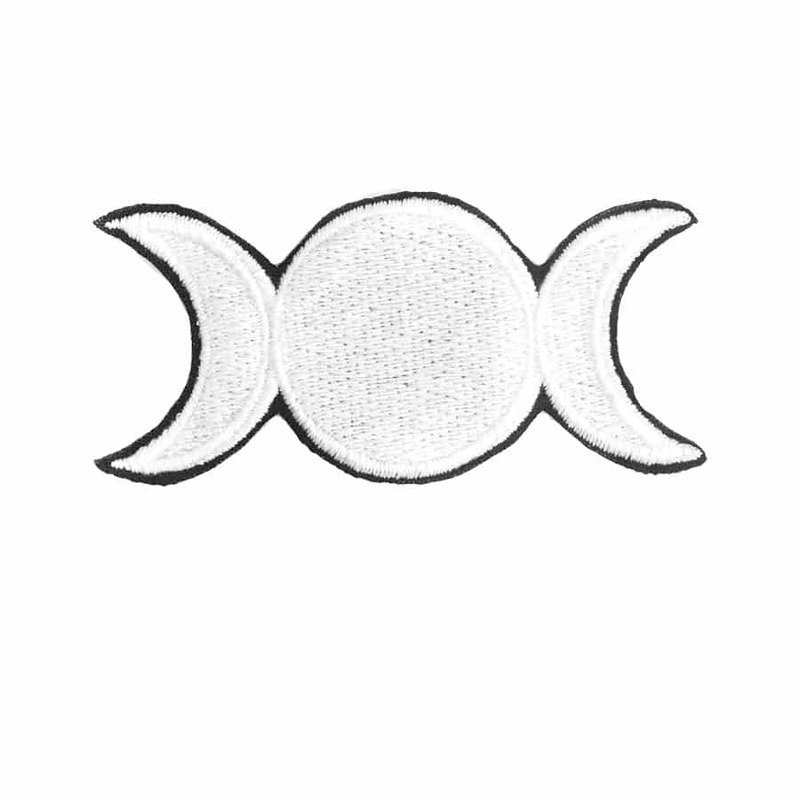 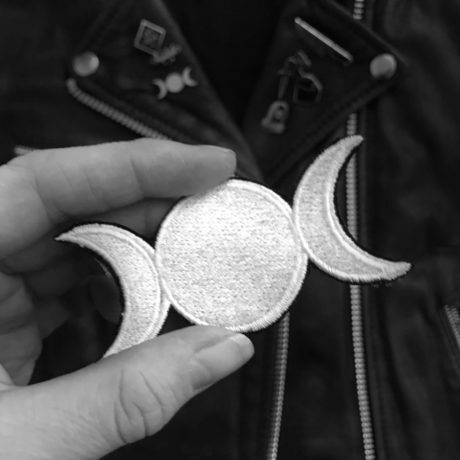 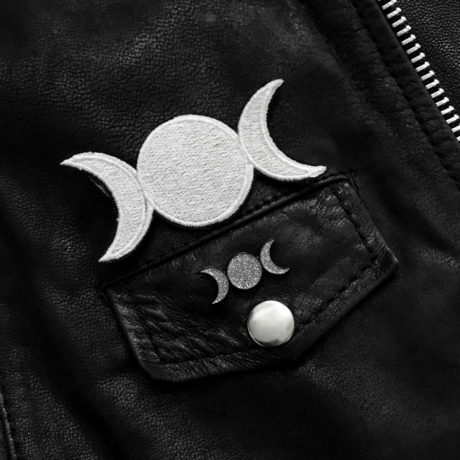 Triple Moon Goddess Patch by Mysticum Luna patch, a beautiful addition to any jacket or denim vest. Handmade by the Mysticum Luna crew. Iron on embroidered patch with heat cut edge.